In real estate, the phrase “cash is king” is oft overused. However, if you’re struggling to sell a house in a bad ‘hood, then you already know that in reality, location is king. Purchasing a home in a great area, or an area that is up-and-coming, can help maximize the value of your home investment. So what can tear your property value down faster than a tree through the roof? 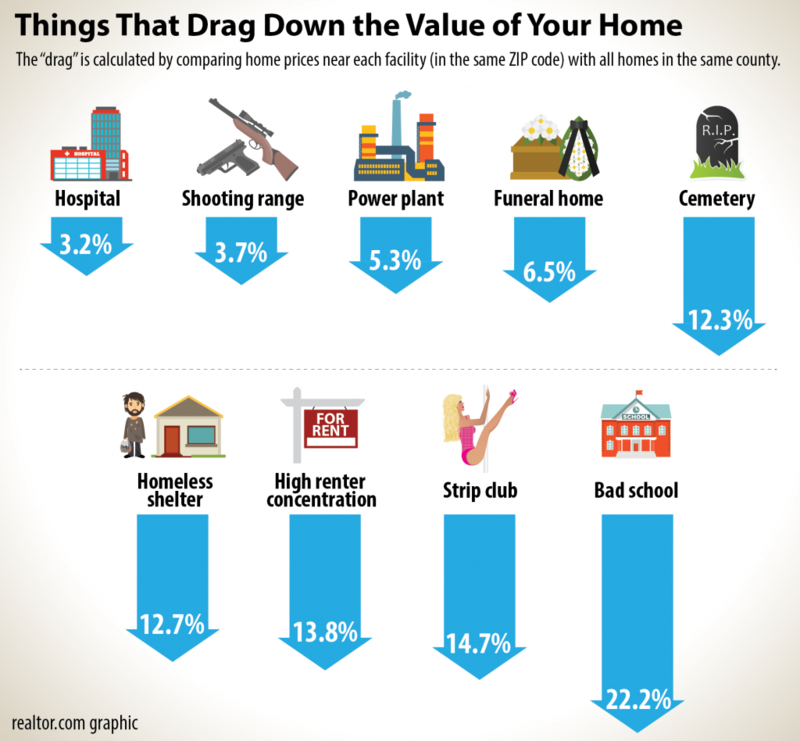 The following infographic from Realtor.com offers insight—and some will surprise you!